Once converted into dopamine, the enzyme dopamine-beta-hydroxylase converts dopamine into the neurotransmitters norepinephrine (noradrenaline) and epinephrine (adrenaline). This triad of neurotransmitters are collectively referred to as “catecholamines”. L-Phenylalanine can be a highly effective nootropic for boosting cognitive function because it boosts norepinephrine and dopamine production. Resulting in increased attention, motivation and working memory. D-Phenylalanine (but not L-Phenylalanine) has been used to treat chronic pain although the clinical research in this area is sparse. L-Phenylalanine also stimulates the production of thyroid hormones T3 (triiodothyronine) and T4 (thyroxine) which are crucial in maintaining both overall physical and cognitive health. Neurotransmitters. Phenylalanine is a necessary precursor for dopamine, norepinephrine and epinephrine. As your dopamine levels increase, you’re better able to concentrate, organize your thoughts, and stay productive. Attention Deficit Disorder (ADHD). L-Phenylalanine can be an effective treatment for some with ADHD symptoms. L-Phenylalanine works in synergy with pharmaceutical drugs like Ritalin and Adderall by boosting extracellular levels of dopamine. Helping these drugs be more effective. And mitigating side effects like crashes when the drug wears off. L-Phenylalanine vs. D-Phenylalanine: What’s the Difference? How does L-Phenylalanine work in the Brain? 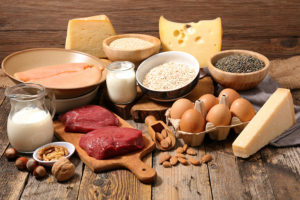 Phenylalanine is found in protein-rich foods like soybeans, cheese, nuts, seeds, beef, lamb, chicken, pork, fish, eggs, dairy, beans, and whole grains. The artificial sweetener aspartame also contains Phenylalanine. 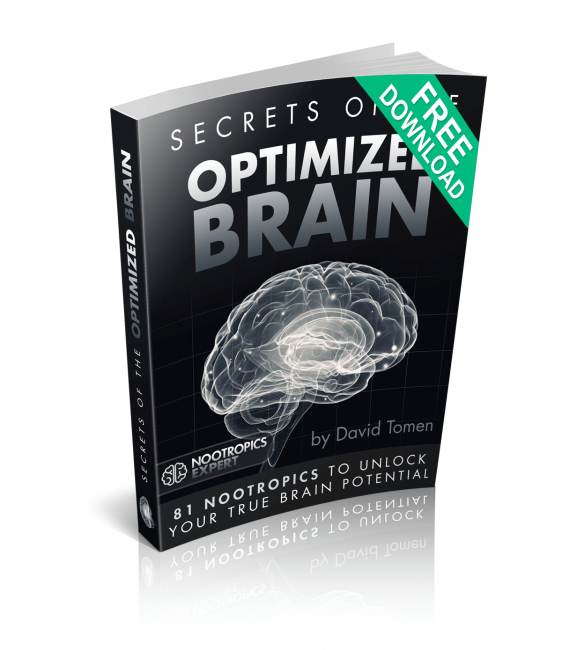 Your brain converts L-Tyrosine to L-DOPA which then produces the neurotransmitter dopamine. The unused dopamine is then further converted into the neurotransmitters norepinephrine (noradrenaline) and epinephrine (adrenaline). This triad of neurotransmitters are collectively referred to as “catecholamines”. Many neurohackers prefer L-Phenylalanine over other catecholamine precursors because it supports neurotransmitter production without directly increasing neurotransmitter levels. This last part is key because indiscriminately increasing neurotransmitters across the board can lead to imbalances and tolerance. 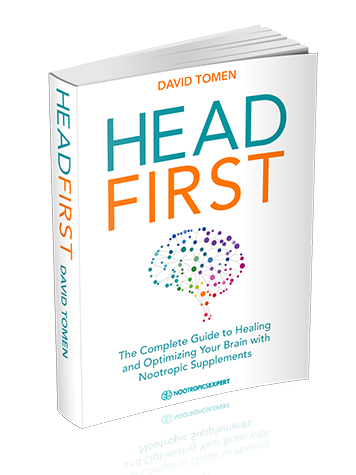 Which can defeat the purpose of taking the nootropic in the first place. L-Phenylalanine is an essential amino acid which means you must get if from food. Or as a supplement. Your body cannot synthesize Phenylalanine on its own. L-Phenylalanine (LPA) is converted into the amino acid L-Tyrosine in your liver. Once L-Tyrosine crosses the blood-brain barrier, it is converted into L-DOPA. Which is further converted into the neurotransmitters dopamine, norepinephrine (noradrenaline) and epinephrine (adrenaline). D-Phenylalanine (DPA) is a synthetic version of, and mirror image of L-Phenylalanine created in the lab. DPA has a different mechanism of action in the body than LPA. DL-Phenylalanine is a 50/50 combination of L-Phenylalanine and D-Phenylalanine. By combining the two in theory you get the best of both an antidepressant and pain reducer. L-Phenylalanine boosts brain health and function in several ways. But two in particular stand out. L- Phenylalanine decreases depression. L-Phenylalanine is converted into L-Tyrosine which in turn is converted into L-DOPA in the brain. L-DOPA is then used to make the feel good neurotransmitter dopamine. So depression could be the result of not getting enough of the first amino acid (L-Phenylalanine) in the chain of events needed to produce dopamine. L-Phenylalanine boosts neurotransmitters. L-Phenylalanine turns into L-Tyrosine once taken as a supplement. It then converts into the neurotransmitter dopamine. Dopamine is used to control movement in your body, is fundamental to memory, attention and problem solving. The unused dopamine can then convert into the neurotransmitters norepinephrine (noradrenaline) and epinephrine (adrenaline). Norepinephrine is important for attentiveness, emotions, sleeping, dreaming and learning. Epinephrine drives your ‘flight-or-flight’ response. It’s what prompts your reaction to dangerous circumstances, emergency situations, or in stressful situations or environments. This balance in neurotransmitters is critical to the fully optimized, healthy brain. And why some neurohackers choose L-Phenylalanine to allow the body to make the neurotransmitters it needs. Instead of causing an imbalance by boosting one neurotransmitter over another. A study in Venezuela investigated ADHD and autism, and the implications of amino acids on these neuropsychiatric disorders. 40 subjects affected by autism and 11 with ADHD along with 41 healthy subjects were included in this study. As we get older, our brain and body chemistry and energy metabolism changes. All of these changes are often attributed to aging. But could be a result of dietary and lifestyle choices. Unchecked, they could lead to neurodegenerative diseases like Parkinson’s, a drop in quality of life and depression. L-Phenylalanine can boost levels of the neurotransmitters dopamine, norepinephrine and epinephrine. And can help a sluggish thyroid produce more T4 and T3. L-Phenylalanine can help boost cognition especially in stressful situations. It helps improve decision making, ‘flow state’ and creativity, cognitive flexibility, and working memory. 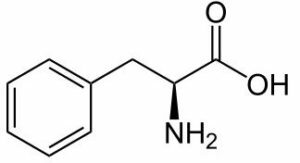 L-Phenylalanine converts into L-Tyrosine which then converts into L-DOPA to produce dopamine. L-DOPA is also used to make melanin in your body. This conversion process helps in the removal of neurotoxic quinones. And chelates heavy metals like mercury and lead which can accumulate in and damage neurons. The dopamine that is not used by your brain is available to produce norepinephrine (noradrenaline) which is important for attentiveness, emotions, sleeping, dreaming and learning. L-Phenylalanine may be an effective nootropic when stacked with ADHD/ADD meds like Ritalin or Adderall. It helps supply extracellular dopamine needed to improve the effectiveness of stimulants used to boost the uptake of dopamine in your brain. Keep in mind that L-Phenylalanine is a precursor to catecholamines. So if you’re not ‘low’ on dopamine, norepinephrine or epinephrine – you may not ‘feel’ anything. Many neurohackers report a lift in mood, better focus, concentration, increased energy, and an overall sense of well-being. L-Phenylalanine can help readjust your motivation levels. It can help lower anxiety levels, especially social anxiety. Supplementing with L-Phenylalanine can help bring your blood pressure down if its elevated from a stressful situation or environment. Take it before the stressful event if you can. L-Phenylalanine helps buffer the effects of stimulants like caffeine or amphetamines. It helps potentiate and prolong the effects of Ritalin or Adderall, and reduces the crash. If you’re into athletics or do manual work, you’ll find that supplementing with L-Phenylalanine before a workout or construction job can leave you feeling great afterwards. It may help mitigate many of the effects of acute stress caused by short-term stressors. And L-Phenylalanine helps your body produce L-Tyrosine which helps to produce melanin, so you may find it easier to get a tan while at the beach. Several studies have investigated using Phenylalanine for the treatment of depression. One study published in the journal Arzneimittel-Forschung looked at using DL-Phenylalanine in a small group of patients who failed to respond to popular antidepressants like MAOIs. Another study in the Journal of Neural Transmission studied DL-Phenylalanine use with 20 depressed patients. The subjects were given 75 – 200 mg/day of DL-phenylalanine for 20 days. The study found that 8 patients completely recovered from depression. And another 4 experienced a significant improvement in mood. Another 4 patients saw mild to moderate improvements, and another 4 did not respond to treatment. Phenylalanine for ADHD seems at first glance as a natural solution for ADHD symptoms. It’s a precursor to the neurotransmitter dopamine which is targeted with stimulants like Ritalin and Adderall. But the very limited clinical evidence tell a different story for practical use. In this double-blind crossover study, 19 patients with ADD were given DL-phenylalanine or a placebo for 2 weeks. 13 of the ADD patients experienced a significant improvement in ADD symptoms compared to the placebo. And patients saw an improvement in mood. 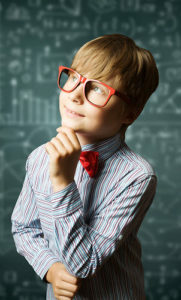 There is a modern school of thought that there are several different types of ADD and ADHD. And the symptoms are caused by malfunctions in different parts of the brain depending on the ‘type’ of ADHD. The bottom line is some dealing with ADHD may benefit from supplementing with Phenylalanine. And that DL-Phenylalanine may be the best option. Try it and see if it works for you. L-Phenylalanine suggested dosage for cognitive benefit is 500 mg up to 3-times per day. You may find your body responds to smaller doses. Or even more if your stacking it with stimulants like ADHD meds. Listen to your body and see how you react. Since L-Phenylalanine is an amino acid, for best absorption and so it’s not competing with other amino acids, take it at least an hour before food. L-Phenylalanine works best on an empty stomach. And take L-Phenylalanine with Vitamin B6 and Vitamin C to further maximize absorption. And give your body what it needs to produce the neurotransmitters dopamine, norepinephrine and epinephrine. 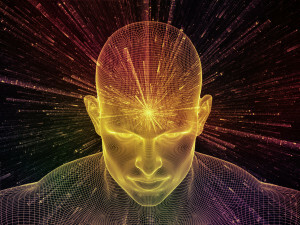 L-Phenylalanine is also needed along with L-Tyrosine to synthesize the CoQ10 needed to fuel your brain’s mitochondria. L-Phenylalanine quickly turns into the non-essential amino acid L-Tyrosine once you take it. So is considered non-toxic and very safe. Most neurohackers don’t have any negative side effects. At higher doses there are reports of stomach issues and migraines. Experts say that L-Phenylalanine is toxic in doses above 5000 mg. And higher doses will not give you any added benefit. If you try recommended doses of L-Phenylalanine and do not feel any benefit, then this nootropic may not be right for you. You could try L-Tyrosine or NALT instead. L-Phenylalanine can increase your thyroid hormones. So if you’re hyperthyroid you shouldn’t use L-Phenylalanine. And if you’re taking MAO inhibitors (MAOI’s) like selegiline, Azilect, Marplan or Nardil you should not use L-Phenylalanine. MAOI’s work in your brain and affect neurotransmitters. So using L-Phenylalanine in combination with MAOI’s could throw off the delicate balance of neurotransmitters needed for optimal brain health and cognition. And taking L-Phenylalanine with MAOI’s could cause a severe drop in blood pressure which could lead to a heart attack or stroke. Other sides effects which can accompany unusually high doses of phenylalanine can include anxiety, rapid heart beat, restlessness, heart palpitations or high blood pressure. If you are dealing with or on medication for high blood pressure you should not use L-Phenylalanine. L-Phenylalanine is available in powder, capsule and tablet form. Capsules and tablets are usually 500 mg.
Phenylalanine is also available as D-Phenylalanine and the 50/50 combined form of DL-Phenylalanine. You may find one form works better for you than another. Ensure you read labels carefully, and stick with manufacturers who follow Good Manufacturing Practices (GMP). And are GMP-Certified. We recommend using L-Phenylalanine as a nootropic supplement. Your body does synthesize some L-Tyrosine from phenylalanine which comes from high-protein foods like chicken, fish, almonds, avocados and bananas. But most of us don’t get enough L-Phenylalanine from our diet. So supplementation will help. And L-Phenylalanine is a highly bioavailable, natural form of this amino acid. So you should feel its effects faster. L-Phenylalanine is helpful for most neurohackers to combat stress and sleep deprivation. It’ll boost dopamine, norepinephrine and epinephrine levels. It’s particularly helpful if you take L-Phenylalanine prior to a stressful situation, workout or physically demanding job. L-Phenylalanine could be helpful to those dealing with ADHD/ADD. It’s a great compliment to stack with stimulant meds like Ritalin or Adderall. L-Phenylalanine will provide the dopamine your brain needs. It will help smooth out and prolong the effects of stimulant meds. And help prevent the associated crash when they wear off. You can safely use up to 1,500 mg per day when stacking with ADHD meds. But dosed throughout your day. Sir, I have high blood pressure and at times it can really go up for no apparent reason, even though I am taking lisinipril (which I really want to get off). The past 3-4 months, it has been much better and steady. Yesterday I took one 500 mg DLPA capsule and it shot up to an alarming level. Fortunately, it came down and is now stable in an acceptable range. I’m perplexed from what you write; that L-phenylalanine can lower BP. Can you explain that? Also, most other research I’ve done says take the supplement with caution for those with high BP. Some even say don’t use it at all if you have high blood pressure. Durwood, I appreciate your comment and it’s prompted me to include more detail in the potential side effects for this nootropic. High blood pressure from using Phenylalanine usually only comes from unusually high doses. Other symptoms could include anxiety, rapid heart beat, and possibly heart palpitations. 500 mg is not considered a “high dose”. I mentioned that your blood pressure could drop “if you were taking MAOI’s”. Is it possible you have undiagnosed phenylketonuria? This is an inherited condition that causes phenylalanine to build up in your body. Or is it possible that you are hyperthyroid? All these conditions can influence how you react to supplemental phenylalanine. Clearly you tried phenylalanine and it isn’t for you. Ask yourself why you were taking it and what you are hoping to accomplish. Of the 77 nootropics reviewed on Nootropics Expert, you have other options to help you get to where you want to go. Hi. I took 500 mg (one capsule) of DLPA: a couple of hours later, I received an enormous dopamine ‘rush’ and then a few hours after that, a racing heart, and a migraine which lasted for three days. Also an unpleasant ‘ticklish’ sensation which lasted for a few hours (I assume this came from nerve cells firing). These are all symptoms that happen when I accidentally ingest MSG, and now I am worried that DLPA may be neurotoxic? It hasn’t been an easy couple of days. I’m not hyperthyroid nor have I high blood pressure. Carola, sounds like you should not be using Phenylalanine. You may have an undiagnosed condition called phenylketonuria (PKU). PKU is an inherited condition where excess phenylalanine can build up in your body. Excess Phenylalanine can cause migraines. Please check out the Side Effects section of this review for more. Thank you. I was born in 1968, though. And I believe that newborn children are all tested for phenylketonuria (since the 1960’s)? Also, I am olive-skinned and darker than my siblings, doesn’t phenylketonuria result in a loss of melanin? Is there any such thing as a subclinical phenylketonuria? Also, will the terrible adverse effects that I experienced cause permanent damage? I suspect that some of this may have to do with my hyperparathyroidism which causes excess calcium to circulate around the system, and thus shunts glutamate into brain cells, causing a possible neurotoxic reaction. Have you any advice for ridding my system of this amino acid? It’s four days on, and I am still feeling the effects. Thank you so much for your reply!! So greatly appreciated!! Added to this hyperparathyroidism and hyperthyroidism are two distinct conditions. I have the former and not the latter. Carola, I’m not an expert on PKU so can’t provide more guidance in that department. And I’m not aware of a way to reduce this amino acid. But you can influence glutamate receptors and how glutamate is used. N-Acetyl L-Cysteine (NAC) modulates glutamate levels and dopamine release in the brain. See this review for more on NAC > https://nootropicsexpert.com/n-acetyl-l-cysteine/. One more thing… if you are dealing with Hyperparathyroidism, you should know that Vitamin D is involved in regulating the amount of calcium in your blood. Check out the review on Vitamin D I just published here > https://nootropicsexpert.com/vitamin-d/. I’ve not seen any evidence that supplementing with Phenylalanine short-term causing “permanent damage”. It appears that you aggravated an existing condition. With a little work you should be able to bring in under control. I use NAC, L-Theanine and Vitamin D every day and it works for me. Give them a try and see if they help you too. Hello, Im a college pre-med student that has very difficult time focusing and retaining information which has been a huge struggle for me. When I was in elementary school my doctors suggested to my parents that I should be tested for ADD but my parent are very natural and organic and were against add/adhd prescription meds so I have been struggling for some time with this, in college is has really set me back. Any way I also really want to avoid ADD pharmaceutical treatment and so I have been doing research and trying all sorts of nootropics which is really hard from the internet cause theres so much out there and so many scams and markiting bs. I have tried adderall only a hanful of times to test it out and see if it helped and from that I have found that my body has a naturally high tolerance to it, which it does for most pharmacuticles, but once I found the right dosage it was like I finally knew what it was like for most kids in my class, it was honestly awesome. However, Iv done lots of research on it and I just want to avoid putting such chemical pharmacuticles in my body. Do you think Phenylalanine could help me? or do you have other suggestions? Linda, I was undiagnosed ADD all my adult life until about 10 years ago. I had no idea why I couldn’t focus or remember much all those years. And wonder how my life would have been different if someone had caught this when I was in my teens. When I first tried Ritalin it was like someone turned the lights on. For the first time in my adult life I could function like a ‘normal’ person. And for the most part it worked fine. In most other lines of work I would have done OK just using that nootropic stack. But I’m running at least 2 businesses on any given day. And write a few thousand words per week. In the end I found I could not manage Adult ADD with nootropics alone at the level I must perform everyday. For someone headed for med school, you may find yourself in a similar situation. I really can’t picture a doctor who would not prescribe pharmaceuticals either. So my humble suggestion is get a grip. And do what your body and brain is telling you it needs. Try the stack I describe in the ADD post and see if it works for you. Give it at least 1 or 2 months. If you are still not able to perform at the level you think you are capable of then revisit prescription stimulants. I have personally found that Ritalin works better for me than Adderall. It has a much longer track and safety record. And it’s mechanism of action does not appear to do any permanent damage to your brain. The same cannot be said for Adderall or any other prescription med for ADD. Please read and re-read the ADD/ADHD post at least a few times until you clearly understand what you are dealing with. Have a clear understanding what you need to do to manage your issues. 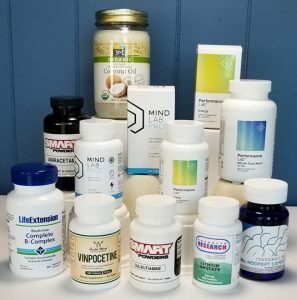 Put together a full nootropic stack and follow the dosage instructions. I’d appreciate it if you reported back in a month or two to let us know how you are doing. Thank you for providing all this great information! I have a quick question: You mentioned it’s best to take L-Phenylalanine with vitamins C and B6. 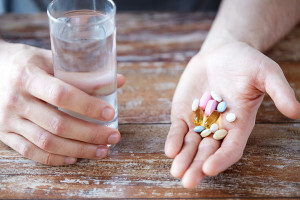 Do you need to take the vitamins at the same time, or is it okay to take the vitamins early in the morning with breakfast and then take L-Phenylalanine a few hours later on an empty stomach? Kristen, great question. Vitamin C and B6 are water soluble so your body needs a regular supply of these vitamins. This is purely a guess but logic says take the vitamins first and L-Phenylalanine within a couple of hours while the concentration of vitamins is highest. what about “plant based maoi’s”? rhodiola, hordenine, piperine etc…do you feel they are ok to combine with phenylalanine? i find the current info by goggle missing or confusing at best..
Milton, good question and yes it can be a concern. Some like hordenine and L-Deprenyl are more of a concern than Rhodiola and Piperine. If you do stack any of these please pay close attention to how your body reacts. Get very familiar with side effects. And if there’s even a hint that something is going on then quit using that nootropic immediately. 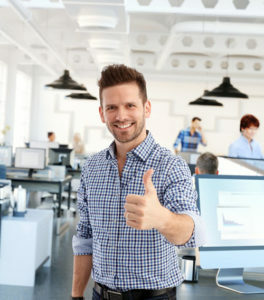 Enjoy your videos and your detailed documentation on your website. 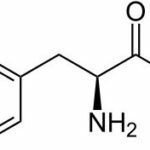 Since Phenylalanine converts L-Tyrosine and then into Dopamine, is there a reason to take one over the other or maybe just take something like L-Dopa? I’ve taken all three separately in the past. John, each supplement is a step back in the dopamine system cycle. Every body is different when it comes to making neurotransmitters and the enzymes and proteins needed to make them. Some are more efficient than others. I for example find that I need either NALT or L-Tyrosine AND L-DOPA every day because my brain is desperate for the dopamine. But I only discovered this by trial and error. DLPA helps me tremendously with all my ADHD symptoms. In fact, other than Concerta which I have unfortunately had to stop due to the side effects, nothing has helped me more. I am calmer ( less overwhelm and anxiety), more focused, more confident, and less of that ADHD anger. I have tried L-Tyrosine, NALT, and Mucuna Pruriens. I notice a slight improvement with L- Tyrosine and Macuna Pruriens, but I will experience side effects such as irritability with NALT. None of these come close to DPLA for me. I didn’t take DPLA while on Concerta. Once I am able to see the doc and get on a new med I may experiment with taking DPLA along with it. I appreciate your articles. I am glad I stumbled onto your site. Thank you Shane. Valuable input. Much appreciated. I’m using D,L Phenylalanine 500mg from lifeExtension, works wonderfully for me!!! What’s the difference some of the brands put DLPA DL phenylalanine and some just DL Phenylalanine! Is it the same? , because I’m try to get something cheaper but I’m not sure ! Thenk you so much, you’re a genius!!! Laura, see the section above titled, “L-Phenylalanine vs. D-Phenylalanine: What’s the Difference?”. One is synthetic and the other natural. Both have shown different benefits in clinical trials. Thanks for your great work on nootropicsexpert and on YouTube! I alteady own n acetyl l tyrosine. Could I expect different effects from DL-Phenylalanin or isn’t it worth it buying it when already having NALT at home. Chris, Phenylalanine is a precursor to L-Tyrosine. So it’s not likely to benefit you by adding it to your stack if you are already using NALT. would it be safe to take L-DOPA and l-Phenylalanine at the sametime? Billy, good question and theoretically there is not a problem. But it depends on how your body reacts. I use both NALT and Mucuna Pruriens because my brain is starved of dopamine. You may be different. Only way to find out is to try it.